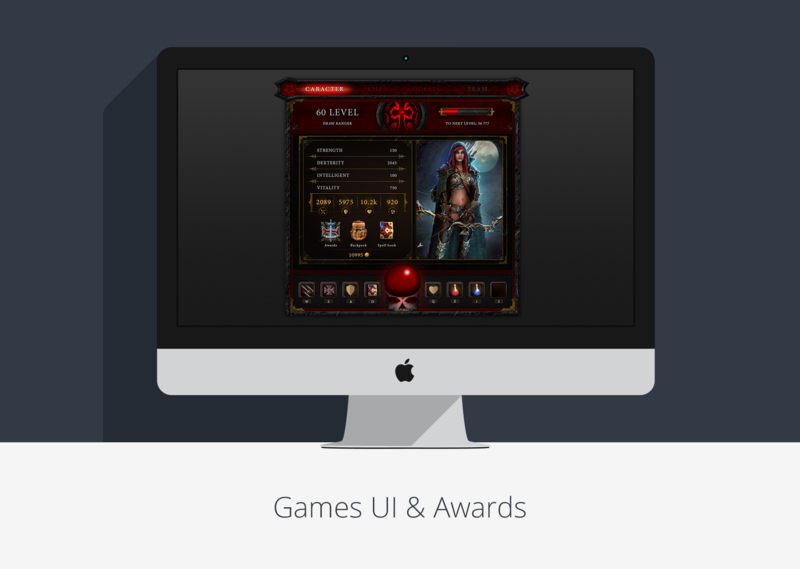 In this project we developed UI Design elements and Icon Design for the awards in the fantasy game. 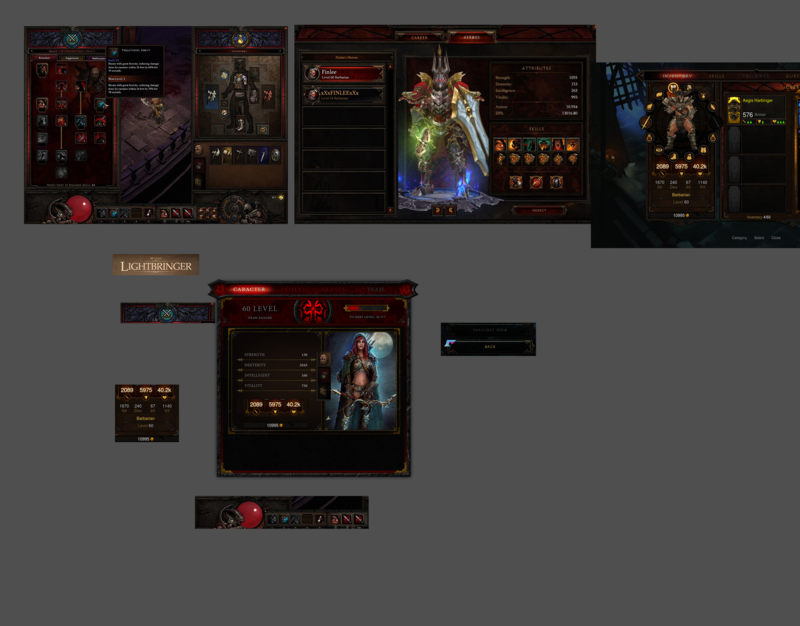 In compliance with our client’s requirements, Game UI elements were to be seamlessly integrated into the overall interface. Our primary goal was to make them not only striking, but also compatible with the rest of the elements of this astonishing fantasy game. It was a relatively short term project, which is why it was accomplished quite quickly, which, nevertheless, hasn’t reflected on the quality of our work. Before we started our work on these Game UI elements project we have analyzed the best features of the given fantasy game, in order to integrate them in the Game UI elements that we were to design. As soon as we decided on the features that were the most striking in general design we proceeded with their implementation. During our work on this project we applied our vast knowledge in the Game UI Design as well as in creation of corresponding icons, creating designs of the icons and elements, which were seamlessly integrated in the general interface and considerably improved overall UI outlook. As a result, we created Game UI elements and icon designs that fully met the requirements of the client – they were striking and beautiful, which is very important for fantasy game. Besides that they looked as a part of the overall design.